Pinched nerve is a condition that is characterized by pain, weakness or numbness caused due to the compression of a nerve. The symptoms can occur due to many reasons such as a bony impingement or a joint pressing the specific nerve, a herniated or bulging disc causing the condition or a tight muscle could be responsible for the condition. It could be a minor misalignment in the area or a tightening around the nerve which is irritating and pinching the nerve. There are three approaches that could be taken to get rid of this excruciating pain. Medication, manipulation, and surgery are these three treatment methods. This article provides an overview of the benefits of chiropractic treatments for a pinched nerve. Nerve compression is a serious condition which is quite painful at times. Medication is the easiest where you take an over the counter painkiller, an anti-inflammatory drug or a muscle relaxant. These drugs can only treat the pain which is the symptom of an underlying cause.Many people find medications to be effective only for a certain period of time. The pain will recur since the underlying cause of the pain is not addressed through medications. Surgery is the next option where the physical component of the nerve compression is addressed. In fact, surgery may address the underlying cause of the pain. But it is physically damaging and comes with many side effects. This is why surgery is not encouraged as a last resort to cure nerve compression. This is where manipulation therapies come in handy. Chiropractic treatment is a manipulative therapy that is done using the hands. There is no medication or surgery involved in chiropractic treatments. 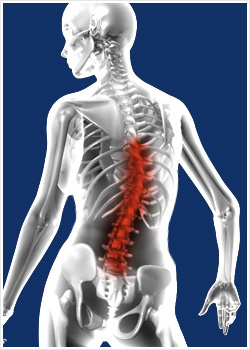 Chiropractic care will focus on restoring optimal functioning of the area where the nerve is compressed. 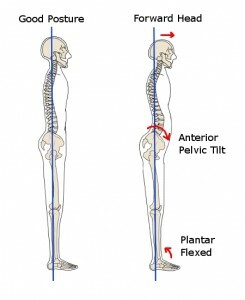 Proper muscle tone and joint alignment will be restored in this practice. Manipulation causes less or no physical damage compared to surgical approaches. 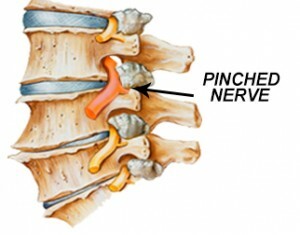 This is why chiropractic treatments are considered one of the most effective to treat a pinched nerve. In fact, Chiropractic is a drug-free, non-invasive, and conservative method which helps treat the patient without the inherent risks of chemicals and surgical approaches. A nerve compression often can have more than a local pain. For example, when a nerve is compressed in the neck area, the pain can radiate down the arm of the individual. On the other hand, a compressed nerve in the lower back area can radiate the pain down the legs. Chiropractors can help such patients get immediate relief by correcting the underlying cause of the condition. They will re-position the bones, relax the muscles, and reduce the pressure on the nerve. This will provide immediate relief, and the condition may not recur once again. This is why you need to consider chiropractic treatments for compressed nerves. There are many chiropractors practicing across the country. Hence, you have to go to a highly qualified and experienced professional to get immediate relief for your specific condition. 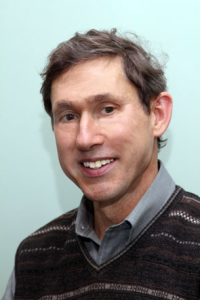 If you live in or around Rocky Hill Connecticut, Dr. Allen Maryott, D.C. is a reputed chiropractor in the area. He earned his Doctor Of Chiropractic (D.C.) from the New York Chiropractic College in 1984. He is licensed in New York as well as Connecticut. In fact, Dr. Allen has been practicing in CT since 1993. Dr. Allen uses a variety of manual techniques to provide instant relief to his patients. Chiropractic treatments, myofascial release, acupressure, and Graston technique are some of the most effective manual techniques used to cure his patients. For Quick Relief Of A Pinched Nerve Click Here Now!